Smoothes, hydrates and protects the skin. 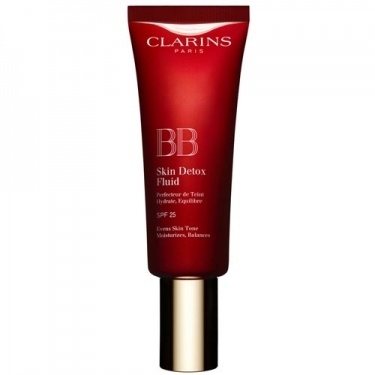 DESCRIPTION: BB Skin Detox Fluid SPF 25 from Clarins is a fluid with a natural effect coating and ultra-fine texture. This product provides a uniform complexion that breathes health. Finish with light pressure to melt the product on the skin.